Hi everyone! Please enter my giveaway where you could win one of the following great kitchen gifts: Napoleon Bee glasses, Le Creuset baking dishes, pizelle maker, ice cream maker, waffle cone maker, or kitchen scale. Just click on the Le Creuset pans at the top left of my blog to enter or click HERE to enter. 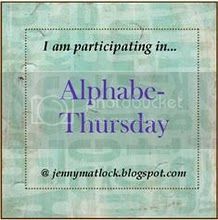 I am posting this with Alphabe-Thursday where the letter of the day is "O" for Orange Marmalade Cake. I am also posting this at Foodie Friday at Designs by Gollum where you can link to by clicking here. I have been waiting to make Orange Marmalade Cake ever since I read the Mitford books. The recipe did live up to my expectations! I loved that it had orange juice poked into the cake after baking. I also loved the whipped cream and sour cream frosting. It did take awhile to make, but I think it was worth it! It was made famous, given almost cult-like status, by Esther Bolick one of the characters in the Mitford books by Jan Karon. She baked it for every occasion, but would never give out the recipe. 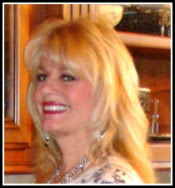 Oh, there were rumors each year that she might give out the recipe, but that never occurred! Father Tim, who was diabetic, went into a nonketotic hyperglycemic coma after eating two slices of her cake. I will give you the section from the book "At Home in Mitford" (page 390) that describes his temptation with the Orange Marmalade Cake. At the end of the post, you can link directly to Amazon for the book "At Home in Mitford." "He saw the tea container in the refrigerator door, but the sight of the cake carrier was so compelling that he couldn't take his eyes off it. Something cold! The cake would be cold. And sweet. Dear G-- he was wrenched with a craving for something sweet, if only one bite. Surely one small bite couldn't hurt. He took the carrier out gingerly, as if trying to prevent an alarm from going off and announcing his indiscretion to the neighborhood. His hand shook as he snapped off the top and stood staring at what Esther Bolick had done in an act of innocent generosity. Then, without thinking about it any further, he cut a large slice, ate it standing over the sink, and went back for another piece." After not taking care of his diabetes as he should and eating two pieces of Esther's cake, poor Father Tim went into a coma. Luckily his cute neighbor found him and was able to call for medical attention. After this episode with the cake, he had to take his diabetes more seriously. From what I can gather, people kept on asking Jan Karon, author of the Mitford books, for the Orange Marmalade recipe and she told them there wasn't a recipe. Then, I believe a recipe was created by a chef. 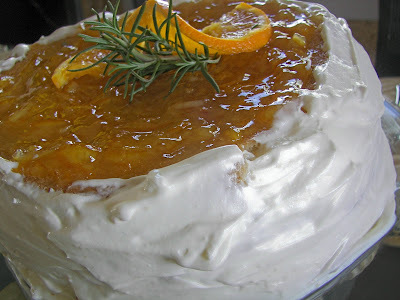 "Esther's Gift, A Mitford Christmas" was entirely devoted to Esther's decisions on whether she would make the Orange Marmalade cake to take to her friends for Christmas--was it too expensive---was it worth the time? This recipe was adapted from a recipe given on Jan Karon's page at Penguin Books; as mentioned above, there are several versions of this recipe out there. 1. Preheat oven to 325 degrees F. Butter two 9-inch round cake pans, line with parchment or waxed paper, and butter and flour the paper, shaking out the excess. 3. In a bowl with an electric mixer, beat the butter until combined, add the sugar, a little at a time, and beat the mixture until light and fluffy. Beat in the eggs, orange zest, and vanilla. Beat in 1/3 of the dry ingredients alternately with 1/2 of the buttermilk until combined well. Add half the remaining dry ingredients and the remaining buttermilk and beat until combined well. Finally, beat in the remaining dry ingredients until mixture is smooth. 4. Evenly divide the batter between the pans, smooth the surface, rap each pan on the counter to expel any air pockets or bubbles, then transfer to the oven. I found that this was too much batter for 2 (9-inch ) pans so I would advise taking out about 1/4 to 1/3 cup of batter. Bake for 45 minutes or until a cake tester inserted in the center comes out clean. I baked my cake layers for 48 minutes. Transfer to racks and cool in the pans for 20 minutes. 5. Meanwhile, make the orange syrup: In a bowl, stir together the orange juice and sugar until sugar is dissolved. 6. With a toothpick or wooden skewer, poke holes at 1/2-inch intervals in the cake layers and spoon the syrup over each layer, allowing the syrup to be completely absorbed before adding the remaining. Make sure that you get the syrup on the outside part of the cake. Let layers cool completely. 7. In a small saucepan set over moderate heat, heat the marmalade until just melted. Let cool 5 minutes. 8. In a bowl, with an electric beater beat the heavy cream with the sugar until it forms firm peaks. By hand, add the sour cream, a little at a time, and whisk until of spreading consistency. Do not overmix! I thought you could maybe have more frosting. Maybe one cup of whipping cream and one cup of sour cream. Do not use low-fat or no-fat sour cream! 9. Arrange one of the layers on a cake plate, carefully peel off the waxed paper, then spread 2/3 of the marmalade over the top, smoothing it into an even layer. Invert the remaining layer onto the top of the first layer, peel off the waxed paper and spoon the remaining marmalade onto the center of it, leaving a 1 1/4-inch border around the edge. Frost the sides and top of the border with the frosting, leaving the marmalade on top of the cake exposed. Or if you prefer, frost the entire cake, adding the marmalade as a garnish on top. Chill for at least 2 hours before serving. this looks so delicious...i love orange marmalade so much! You must have a lot of cake lying around your home..2 cakes this week! I wish i lived next door to you. This is a beautiful cake. I never liked store-bought marmalade, then I made a lot of it at Christmas. We love it and I have a few jars left in the pantry. What a great way to utilize it. Thanks for a great post. Your cake looks delicious! I have not read the Mitford books yet ( I think I must be the only person in the country who has not). I have heard they are good and should go find them at the library. That cake does look delish!!! What an oustanding cake! I have not read the books, just learning about them for the first time here, but I think I will try that recipe. I lovvvvvvvvvvvve this cake and have asked my husband many times to make it for special occasions. A wonderful choice for O!! I loved reading the Mitford books, but couldn't imagine what the cake would look like. Thanks for showing me. What a neat story on how this cake came to be. Very fun. Looks yummy. 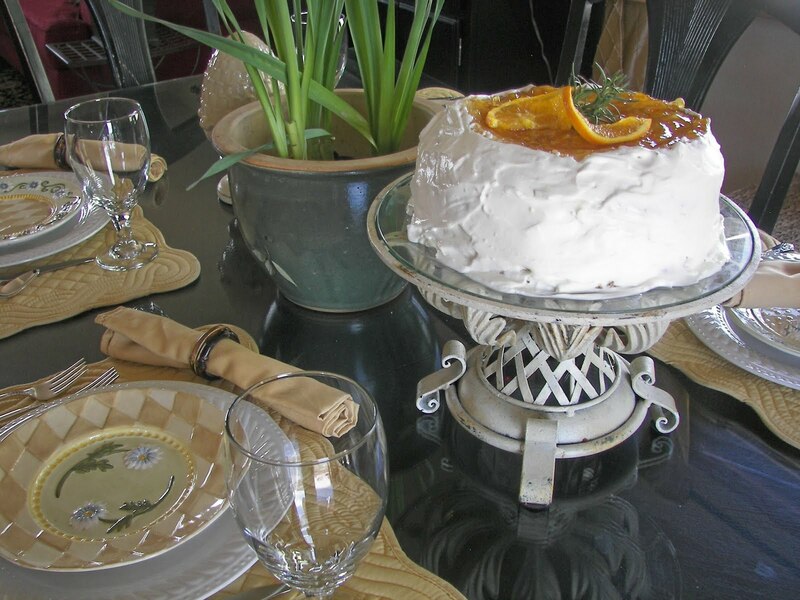 I am loving orange these days, and was actually eating a breakfast of yogurt with orange marmalade, when I came across your blog and this beautiful cake! It is definitely going in my recipe file to make! Yum, yum this looks too good!! I am drooling over this cake and it's not on my diet! I guess looking can't hurt, right?? Not a good post to read at dinner time! The cake is beautiful and sounds delicious! Oh, I loved that series of books! 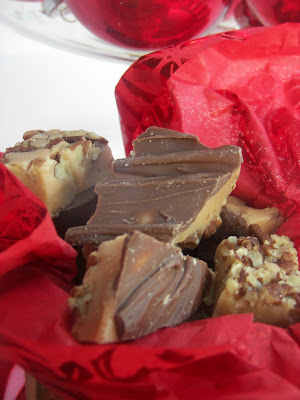 Thanks for sharing the recipe, although this hypoglycemic cannot partake, I know my family would love it! That cake looks delicious. And great recipe. I want to eat it...I'm just not sure I want to make it. I'm feeling lazy...I love the mixture of whipped cream and sour cream for the frosting. It really is a beautiful cake. Yummy! I love those books AND when I saw the title I wondered if it was from them. I really, really want to come over and eat a piece of that. I would be willing to risk diabetic coma. Not that I'm diabetic but that's how scrumptious it looks! Thanks for sharing this delicious stop on our little journey through Alphabe-Thursday's Letter "O". Yummy, I love how you featured this lovely recipe that came from a novel. I used to serve orange marmalade to my son because he loved Paddington the Bear and that is what Paddington ate! I can see why the priest ate 2 pieces!!! LOL this is a heavenly cake and I especially like the frosting. I think I will use it to frost other cakes. Loved the Mitford series & was always curious about the cake~ Beautiful & Great Post for Letter O! OMG, I so want to come over right now. I can't touch that. no skills but I would love to taste! I just adore the Mitford books and they helped to renew my faith several years ago. I have the Esther's Gift book and I've been tempted to make this cake many times. Now I believe I can too! Thank you! Om my word...that looks heavenly! Thank you so much for posting this delicious recipe. I can't wait to try it! I may have to make this next time I have company -- it looks delicious! A true marmalade lover here - so this cake will debut at Pondside soon. I love the Mitford books - I remember when I first discovered them, years ago - It was like finding a new friend. Oh, I simply must make that cake! :) I love orange marmalade, too. And cake ;) . That cake looks and sounds delicious! I was so looking forward to clicking on this link, because when I glanced down the list my first thought was Mitford! What a fun post. I read the little story of Esther trying to decide whether to make it for Christmas or not too. I love Mitford and have often thought I would like to go to Boone, NC to see if it is anything like it. Anyway, that is no small feat making that cake. It looks glorious. Thank you so for sharing with us!